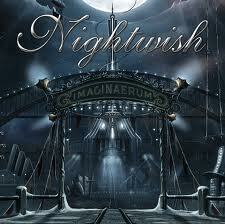 When Nightwish’s Imaginaerum came out in Europe back in November, I didn’t pay much attention. I had a fling with Nightwish quite a few years back, but it didn’t last long. I know it will be sacrilege to a certain segment of the band’s fans, but it was really Tarja Turunen’s vocals that did me in. Her soprano, while impressive, was almost too pretty, too perfect. It didn’t have the expressiveness that I thought the music needed, and after a while, her vocal lines sort of blended together for me, no matter what the music sounded like. This isn’t a knock on Turunen, just a matter of personal taste. I’ve got the same problem with just about every female vocalist that sings operatic soprano lines most of the time. I just need a little more variety and maybe, occasionally, a little grit. I was aware that she had left the band, and I think I checked out a few songs from the first record with Anette Olzon, but by that point, they were well off my radar. Until a few nights ago, that is, when a few random clicks on Youtube landed me on the video for “Storytime,” the lead single from Imaginaerum. I’m not even sure what made me click on the video when it popped up on the side rail, but about six repeated listens later, it sent me digging around in my e-mail to see if I could locate the promo link for the record. Instant connections with songs are rare for me, but “Storytime” made one on several levels. First, it’s just a great song. There’s a bit of darkness, a bit of playfulness, a bit of childlike wonder and a bit of the mystical. It’s like reading an old-school fairy tale where the story is, on the surface, bright and happy, but you know that there’s something really bad lurking just in the shadows out of sight. Besides that, there are just a ton of great hooks in the melody lines. But I was also drawn to the song from a lyrical standpoint. As a wannabe writer myself, I like the ideas here of worlds within worlds in the imagination. I’ve always wanted to capture in one of my own works that perfect vibe of fanciful with just an edge of creepiness and unease that you get with something like Alice in Wonderland or Peter Pan. Sadly, I’ve never been able to do it, but “Storytime” does it well. But, as good as that one song is, there are 12 more on the album, right? How do they stack up? Quite well, actually. It opens with the folk intro “Taikatalvi,” sung in Finnish by male vocalist Marco Hietala. I’ve got no idea what it’s about – maybe some of the Finns out there can help me out if I haven’t offended them too bad with the Tarja comments – but it’s dark and melancholy and I love it. “Ghost River” starts off as a pretty straight-forward Goth-style rocker, but moves into more operatic and over-the-top symphonics for a strong chorus that gives Hietala a chance to show his more manic side. As an aside, the guitar riff in the very opening reminds me, for some reason, of early Van Halen, though certainly nothing else about the song does. There are, of course, some nice fairly straight pieces here, like “Rest Calm” and “I Want My Tears Back,” which nevertheless has an interesting, almost Celtic folk feel in the louder portions. The Celtic influence comes back strongly on the ballad “Turn Loose the Mermaids,” which also finds Olzon taking on Gaelic lilt in her vocals. Another ballad, “The Crow, the Owl and the Dove” offers the best interplay between the two vocalists. A melancholy, traditional number in the early going, it gives Olzon and Hietala chances to harmonize and mingle their voices, and you almost wish they’d do that more often. “Scaretale” is the nightmare segment of the record with some heavy, dark symphonic sounds and a spooky children’s chorus building into a thrashing guitar riff and some very theatric vocals from Olzon. Then Hietala gets his turn on a thumping, fun Vaudevillian segment with no metallic elements whatsoever. From there it’s back to more familiar, but still well-done, symphonic metal territory and then a dip back into that opening sequence to round out the song. Next to “Storytime,” it’s easily my favorite piece on Imaginaerum. “Song of Myself” gives you the “epic” song, checking in at nearly 14 minutes and bringing most of the sounds on the record together. There are some very heavy segments, some over-the-top symphonic bits and some ethereal gothic parts. The last half of the song is a recitation of a poem inspired by Walt Whitman’s transcendentalist poem of the same name as the song. I rolled my eyes a little on first listen, but I kind of like it after a few takes. 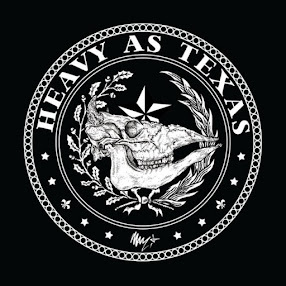 I’ve always been a fan of oddities on metal records, and I love the ones that we get here. The smooth lounge jazz of “Slow, Love, Slow” is really cool, and gives Olzon a chance to show off some huskier, sultry tones. The instrumental “Arabesque” has, obviously, a lot of middle-eastern flavor, but also a dream-like quality to it. During the three minutes of the song, you can imagine, at times, harem dancers moving to the music or Aladdin-style adventures, magic and sword fights. The whole record has a great variety and a nice flow. It’s all about imagination and dreams within dreams, and the concept is carried out nearly flawlessly. I’m a bit surprised to say that I really, really like Imaginaerum. It’s a record that takes you on a journey, and it’s one well worth taking. It’s a shame that I didn’t give it a listen back in November because it probably would have landed pretty high on my year-end list. On the bright side, the U.S. release date was just last week, so it can still make this year’s, and there’s also a movie in the works based on Tuomas Holopainen’s story, which could be interesting.